The remains were put back in the tomb of the surrealist artist at the Dali Theatre-Museum in Figueras overnight Thursday to Friday in the presence of a solicitor and forensic pathologist. 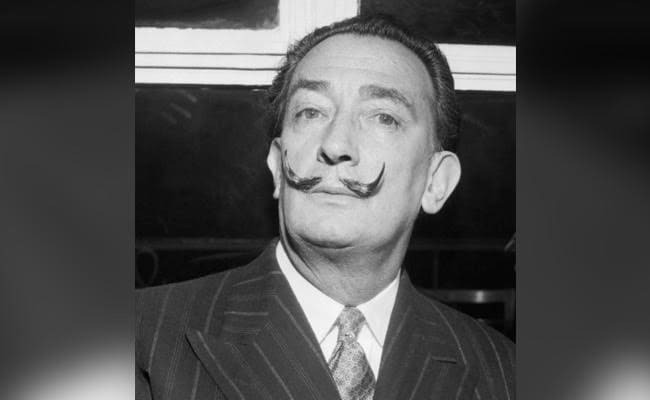 Madrid: The remains of Salvador Dali, exhumed last summer to test a psychic's claims she was his daughter, were finally re-buried in his museum in northeastern Spain, the foundation that manages his estate said Friday. The remains were put back in the tomb of the surrealist artist at the Dali Theatre-Museum in Figueras overnight Thursday to Friday in the presence of a solicitor and forensic pathologist, the foundation said. A court had ordered Dali's exhumation to settle a paternity suit lodged by Pilar Abel. Abel, who long worked as a psychic in Catalonia, claimed to be the daughter of the artist known as much for his paintings as his trademark moustache, which -- because the corpse was embalmed -- the exhumation revealed remained in its "ten past ten" position. But DNA samples from Dali's skin, nail and bones proved she was not his biological daughter, and she was ordered to pay for the costs of the exhumation. Abel had claimed her mother had a relationship with the artist when she worked in Cadaques, a picturesque Spanish port where the painter lived for years. Born on May 11, 1904, Dali was one of the most famous artists from the 20th century surrealist period. He had been married to his muse Gala from 1934 to her death in 1982. They had no children and after his death in 1989, aged 84, he left his estate to the Spanish state.